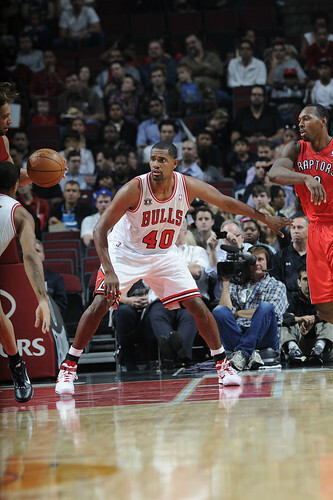 The Bulls moved back to .500 for the preseason Tuesday with a dominating 109-90 victory over the Bosh-less Toronto Raptors. 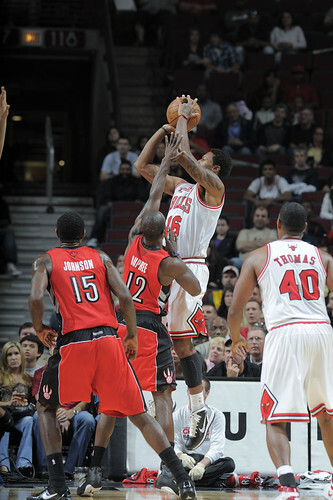 They hammered the Raptors on the boards 44-22 and outshot them from the free throw line 32-16. 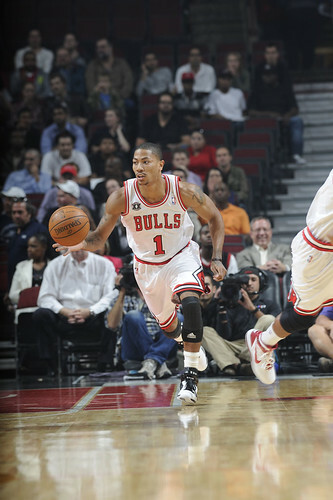 So there were mostly positives, especially Derrick Rose with 23 points, seven assists and five rebounds, Joakim Noah with 16 points, 14 rebounds and eight assists and Omer Asik with nine points, eight rebounds and three blocks. Rose was simply spectacular and I’d put him up against any point guard in the league the way he’s playing already, shooting confidently (Thibodeau says he feels Rose’s is shot is going in every time he takes it), moving the ball and attacking more quickly, especially out of the half court. 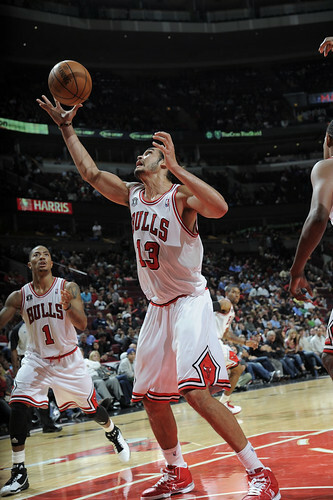 The Bulls have Rose flying at the defense and then making plays, showing off a variety of jumpers, floaters and quick passes. Last season, Rose got into high pick and rolls more and spent a lot of time when not on the break going side to side, so called East/West, as the coaches call it. This season, Rose is going more directly into the offense, and there’s no one in basketball who even comes close to getting in front of him. 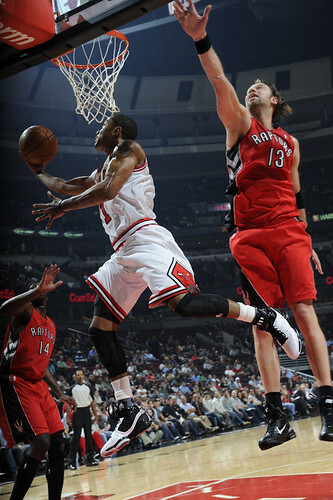 The Bulls took the game from the beginning in leading 21-9 seven minutes in with Rose hitting a three, an 18 footer off the dribble, an amazing reverse on a pass from Noah and then a floater to get that dozen point lead before the Raptors had time to notice. Later he threw in a falling away, left handed banker as he was being fouled, a shot you could hardly describe. Even Rose’s teammates still marvel. 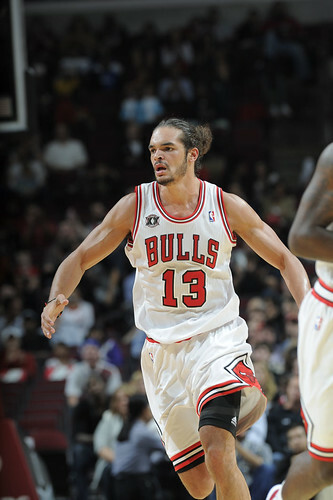 And Noah was no slouch himself even though he pondered the significance of preseason afterward, admitting he was ambivalent: He prefers seriously competing, but also knows the Bulls need introductions with so many newcomers. So, I wondered, if it didn’t matter why was Noah diving out of bounds to save a loose ball and getting it back on the same possessions for a 69-55 lead late in the third. It’s also what makes Noah so special. Here’s a guy who just got paid big, guaranteed $60 million or so for five years starting after this season. Your spoiled athletes are supposed to relax. Certainly in preseason. He played 40 minutes because Thibodeau wanted to see whether he could play power forward with Asik, which meant chasing the new so called “stretch fours” of the NBA. So Noah played an exceptionally long time and outrebounded the entire Raptors starting lineup by himself. Sure, it’s not going to be easy to play early in the season without Carlos Boozer, but the presence of Rose and Noah and the way Thibodeau has them moving the ball should provide some serious optimism for weathering that early stretch. 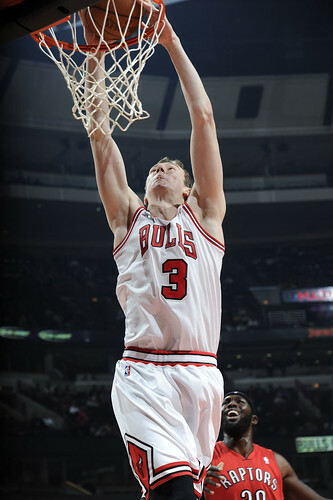 Rose and Noah, obviously, are the irreplaceable parts of the Bulls, and the rookie from Turkey, Asik, has been an early surprise in developing quickly and showing he can contribute. Coming in late in the first quarter as Thibodeau has been using Asik to replace Taj Gibson, Asik quickly got into the mix catching on the run for a slam dunk, boxing out tough for a nice rebound, catching a James Johnson baseline drive pass for another slam, tipping out a loose ball to start a fast break and just before halftime getting quickly in front of a Leandro Barbosa drive. 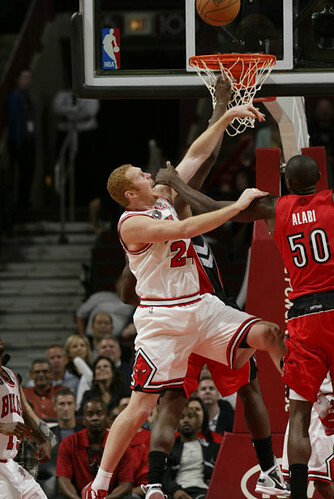 Asik was called for a block, but it obviously was a blown call as the referee seemed to make an assumption. 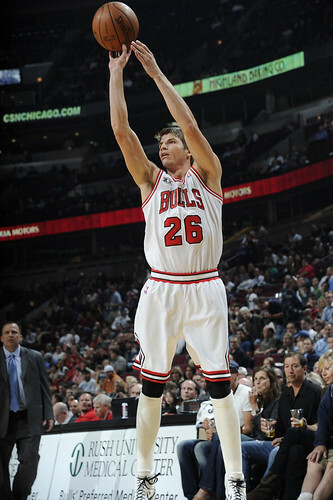 Right, they do make mistakes, but it was impressive to see Asik move on defense like that. 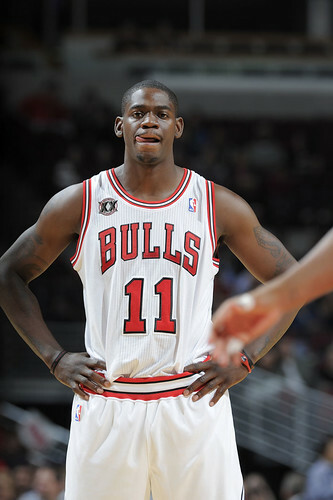 The Bulls finally got a look at Ronnie Brewer, who’d been out with hamstring issues. Brewer said he felt fine playing 10 minutes and Thibodeau said he was confident Brewer is coming along. But I thought Brewer still had issues and didn’t seem to be moving great as yet. 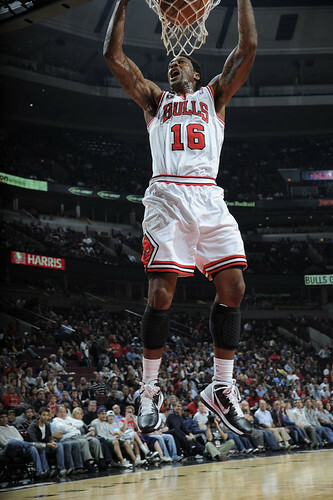 I’d be surprised if he gets in shape enough to be the starter at shooting guard by the start of the regular season. 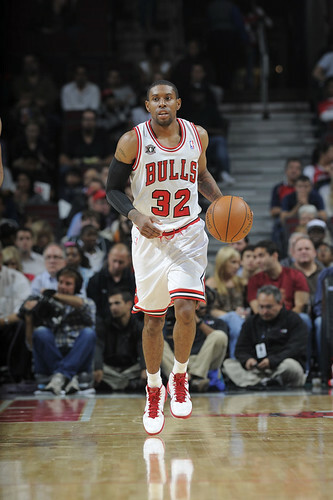 The Bulls also brought back C.J. Watson, who had a minor quad injury, and he showed he is a good scorer with 12 points in 19 minutes and two of two on threes. But I thought he suffered some as a point guard as he mostly moved side to side and didn’t attack and seemed to do more for himself on offense. 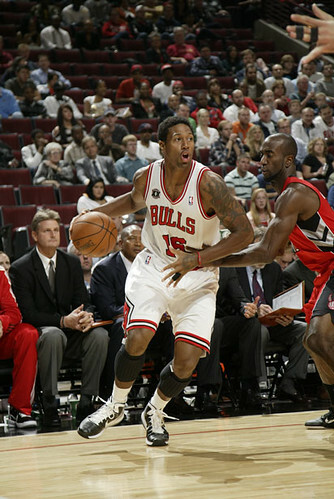 But it was his first action in awhile, and it looked like he could play off Rose as well. Luol Deng had 13 points in 31 minutes, but on just six shots. 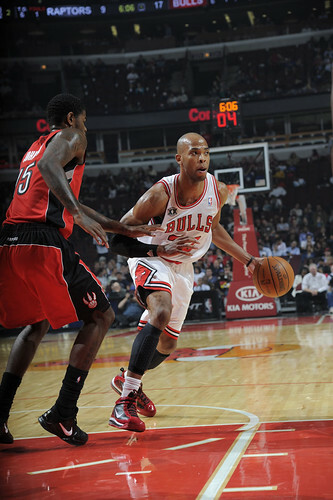 He led the team in getting to the line eight times, which showed he was moving with a much more flowing offense than we’ve seen from the Bulls in some time. 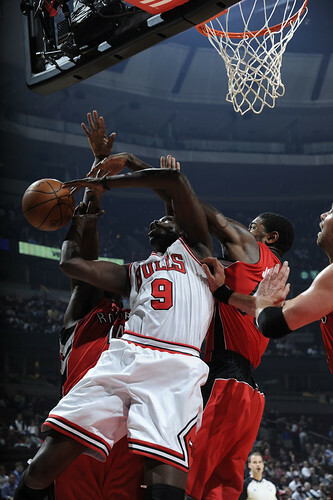 Deng also had two blocks and two steals. 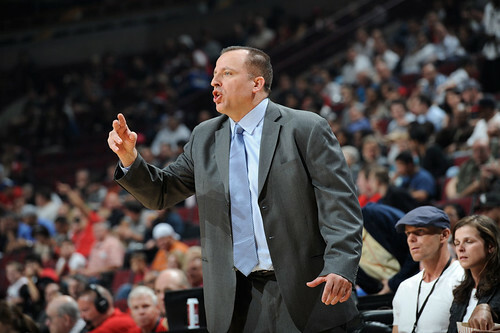 Thibodeau did try to go to Deng a few times for postups, first to open the game as he had Julian Wright on him. And Deng did look better with his three, hitting two of three on three pointers as the Bulls overall were six of 12 on threes. Yes, it all looks a lot better when you win like that.